Gupo is an uninhabited island to the southwest of Jibei. It is composed of porous basalt covered with a layer of iron-rich quartz sandstone. The striking contrast between these two kinds of rock makes Gupo unique among the islands of Penghu. Two sandy bays are located on the eastern side of the island, and beautiful coral reefs cover the seabed to its southeast. 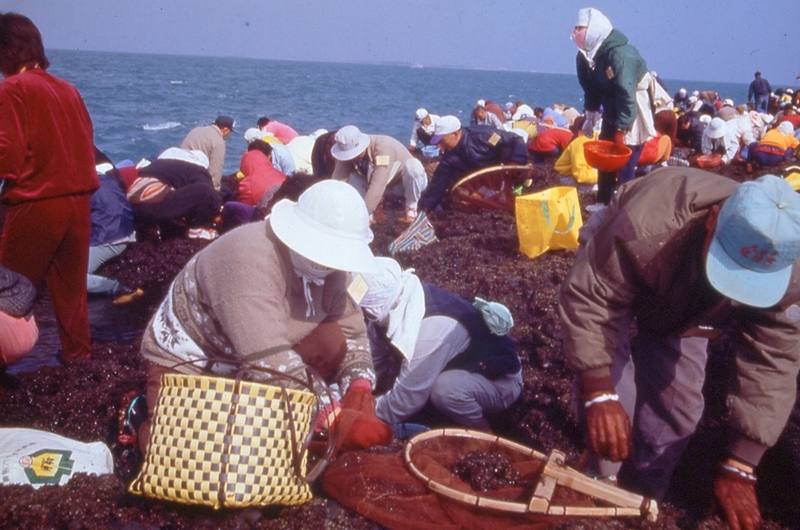 When the harvest season begins in early winter for laver, a kind of edible seaweed in which Gupo abounds, residents from Chikan Village on Baisha comes in groups to gather this marine vegetable. While sharing this resource, the villages also take care not harm it by over-harvesting.